Jay Salkini is the Founder and Chief Executive Officer at Tecore Networks. Mr. Salkini has envisioned, developed and patented wireless technologies that have been installed in mobile networks around the globe. Leading the company since 1991, Jay Salkini has secured more than 10 patents for wireless solutions and services which have allowed Tecore to win various awards over the years, including three Global Mobile (GSMA) Awards for Best Roaming Product/Service Award, Best Radio Access Product/Service Award, and Best Technical Innovation Award. Under his direction the company has advanced to be the sole US-Made manufacturer of multi-technology 2G, 3G, 4G and LTE mobile core and radio access network infrastructure. Since 1991 through an ever changing landscape, Mr. Salkini has transformed Tecore’s solutions into a new market within the wireless industry. During this time, the company has expanded its product portfolio, deployed mobile networks around the globe, and secured key industry validations. Wireless communication was a nascent field when Mr. Salkini began his career in the telecommunications industry; however it has since become one of the fastest growing industries worldwide. In 1991, he parlayed his early experience accumulated through various positions at IBM, Siemens (Nokia Networks), BNR/Nortel Networks and Westinghouse (Northrop Grumman) into the opportunity to found his own company, Tecore Networks. Mr. Salkini received a Bachelor of Science in Electrical Engineering and Masters in Computer Engineering from Florida Atlantic University (FAU). 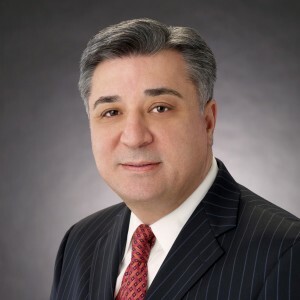 Most recently, FAU recognized his outstanding leadership and achievements in the wireless industry by conferring an Honorary Doctorate of Humane Letters on him in 2012. He was previously inducted into the University’s National Alumni Association Hall of Fame in 2009 and appointed to the Board of the National Science Foundation.